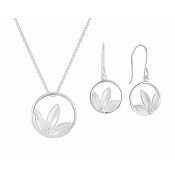 Celebrating a beautiful stone, this necklace and drop earring jewellery set makes a loving gift. 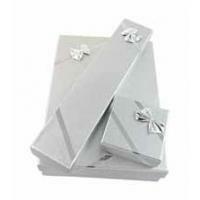 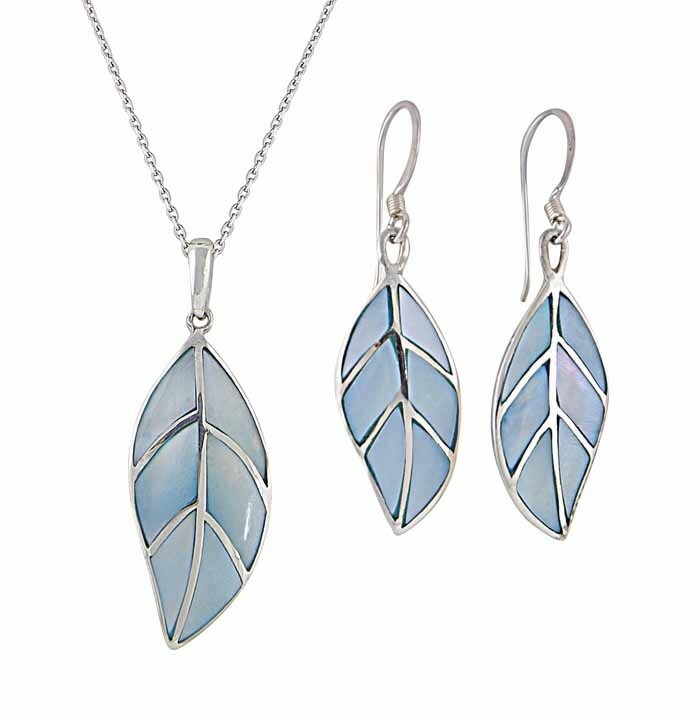 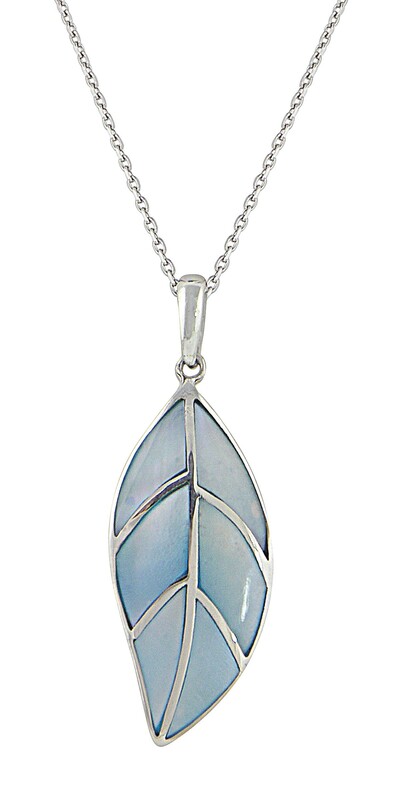 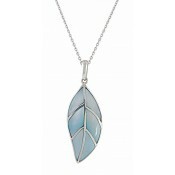 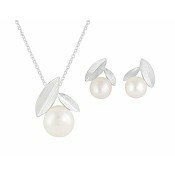 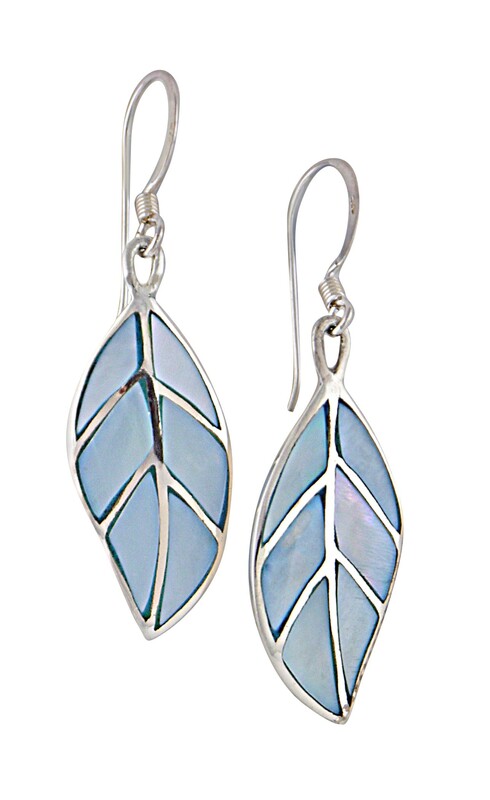 Each piece has been crafted from polished sterling silver with the addition of Mother of Pearl. 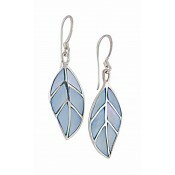 Featuring a leaf design with contrasting vein detailing, they sit flush against the body for all-day comfort and style.